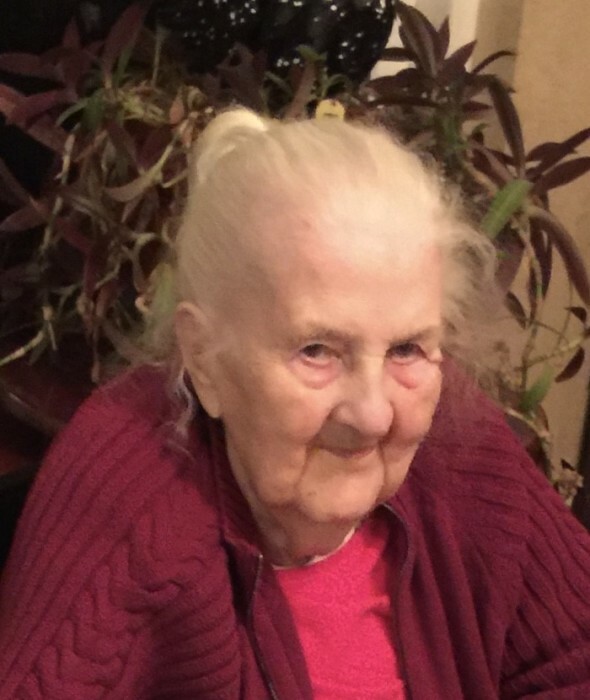 Mrs. Virginia M. Karla, 95, of Dolgeville, New York, passed away on Thursday afternoon, March 29, 2018 at Little Falls Hospital. She was born on August 21, 1922 in Little Falls, New York and was the daughter of the late, George and Mae (Hadcock) Estey. Virginia attended Little Falls High School and graduated with the Class of 1939. On October 8, 1942, Virginia was united in marriage to Richard E. Karla in Hagerstown, Maryland, while he was enlisted in the United States Army. Mr. Karla passed away on October 16, 1988 after 46 years of marriage. At one time, Virginia was employed at Salada in Little Falls, New York and spent the majority of her life as a homemaker. In her younger years, she enjoyed writing poems, drawing, listening to her radio and talking about memories of her daughter, Donna. Virginia was predeceased by her beloved daughter, Donna Hart on August 8, 1968. She is survived by her brother, Vernon C. Estey and his wife, Claire of Little Falls, New York; many nieces and nephews; and several caregivers. Virginia was also predeceased by her brothers, George Estey and Francis Estey. Calling hours will be held on Monday, April 2, 2018 from 5 p.m. to 7 p.m. at Roberts Funeral Home, 3 Faville Ave., Dolgeville, New York. A funeral service will be held on Tuesday, April 3, 2018 at 11 a.m. also at the funeral home, with Pastor Anthony Bradseth. Burial will be held in the spring at Dolgeville Cemetery.